…LA lady. Seamstress for the band. Love that song and especially this scene from my favourite movie. Must re-watch soon. I didn’t learn my lesson with the heat wave and decided to wear my white jeans yet again! Sometimes I get on a kick and wear the same things over and over. 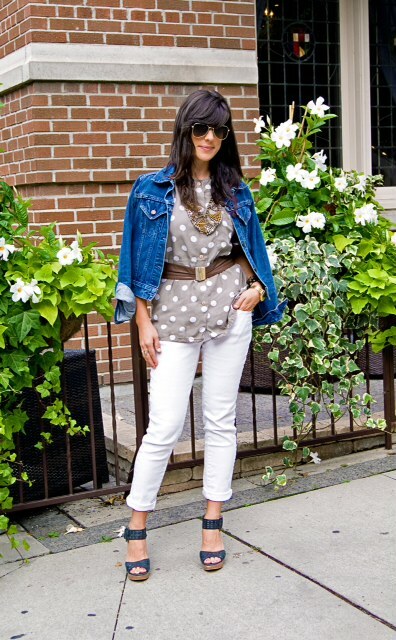 Jeans are from Joe Fresh, top is an exceptional find from Value Village – it’s vintage Jacob! the tag looks like it could date back to 1990. Sweetness. 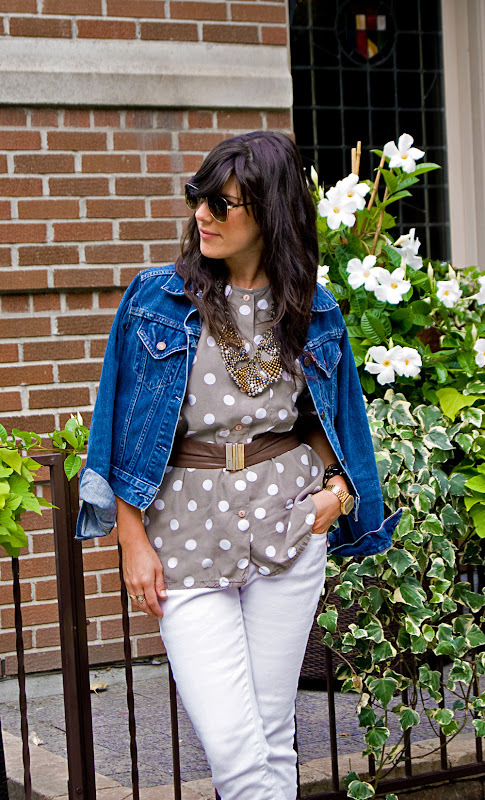 Jean jacket is also a stellar find from Value Village – Vintage Levi’s! I can’t take credit for it though, it was a gift from my BFF. My favourite sky high heels are from Winners, belt is from a vintage shop, and my necklace is from Anthropologie. Love it…I was just looking my closet and thinking I need to get rid of my vintage Tommy jean jacket but I love it and now I will keep it because it looks so good on you!!!! Great look! I can’t believe that top was a VV find!